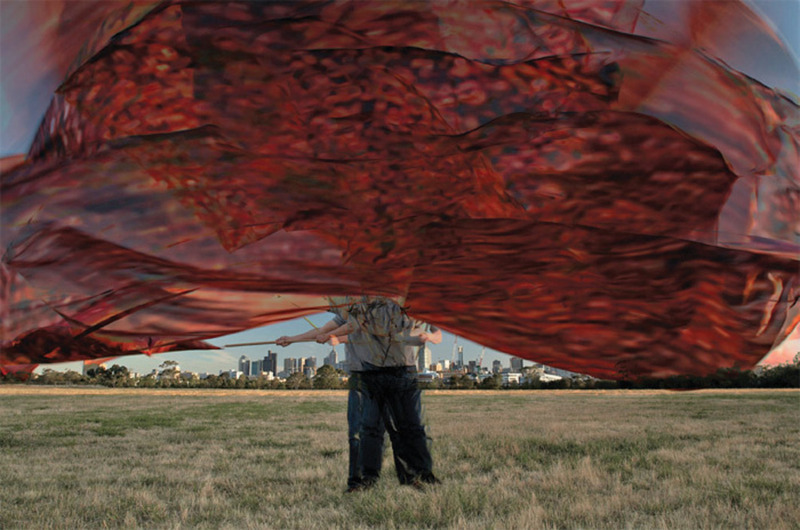 Tom Nicholson, Monument for the Flooding of Royal Park (Poster), 2011, off-set print, double-sided poster, 23 3/8 x 33 1/8". From the TarraWarra Biennial 2012. For this carefully modest and constantly thoughtful biennial, titled “Sonic Spheres,” a focus on sound art means more than audio booths and noise spill. Exhibited work by twenty individual artists and one collaboration includes scores, drawings on top of scores, aural reinterpretations, and invented musical instruments. Indicating the conflicted and coveted currency of contemporary sound art, catalogue essayist and Sydney-based sound theorist Caleb Kelly disputes the terms of the art world’s current preoccupation with sound art altogether, questioning the very value of such a category and noting that its implicit division between the senses promotes the idea that an artwork carrying an audio component is only a novelty.